Summers in Japan can be stifling, sticky, and sanity-testing. One of the best ways in my opinion to beat the heat is to head north, in particular to Hokkaido. Case in point: when I look at the temperatures for today, my town in Niigata is set for a top of 34 degrees Celsius, whereas Hakodate in Hokkaido is forecast for a comparatively cool 26 degrees Celsius. Already sounds much more manageable, right? 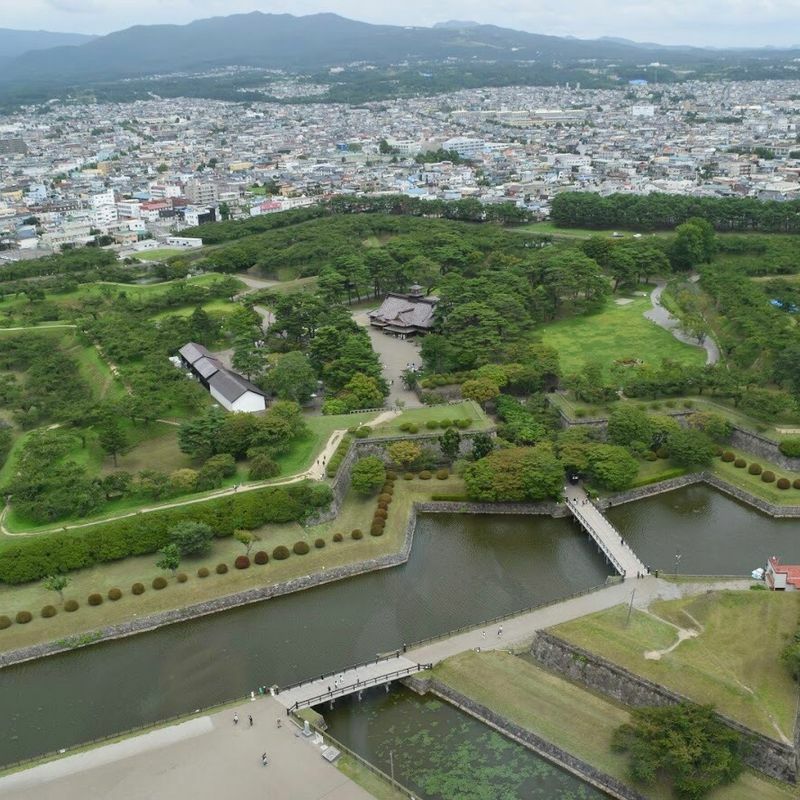 If you're contemplating a trip and wondering what there is to do in Hakodate, here are some suggestions that we enjoyed! Goryokaku If you're a history buff, or just a fan of unique design, Hakodate's Goryokaku is worth your time. It's a star shaped fort, and the reason for it being planned out in that shape was very strategic. Ultimately it meant that there were more spots where you could place guns around the walls of the fort, and at the same time there were less blind spots that you couldn't fire from. Aesthetic appeal and clever construction all at once! Hakodate Morning Market The Hakodate Morning Market has a vibrant and bustling atmosphere, with stalls packed to the brim with fresher than fresh seafood - and plenty of options to pop into an eatery to enjoy some of it for yourself! My husband particularly enjoyed the seafood ramen - it was so fresh that the shopkeeper making it literally popped over to one of the market stalls to get ingredients for it after the order was placed! Red Brick Building Area The Red Brick Building area is full of charm - the buildings are restored from old warehouses, and house everything from retail shopping through to restaurants...and even a beer hall! The proximity of the Red Brick Building area to the water makes it a pleasant spot to stroll around and soak up the atmosphere. Lucky Pierrot Lucky Pierrot is a bit of a Hakodate institution. There are several different store locations dotted across the city, and they're pretty hard to miss! The store exteriors are often decorated in weird, wacky, and wonderful ways. They're predominantly a burger joint, but also offer up curries, fries, hamburger steak and more.